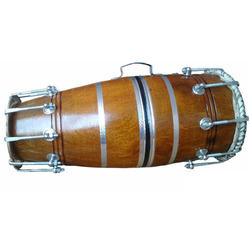 We are a leading name for manufacturing a wide range of specialized Dholak. 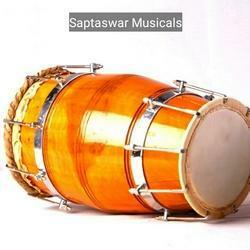 Dhol or Dholak is very popular musical instrument in India, and we also fulfil the great demands of our vast clients. Our manufactured Dholak are used while performing Bhangra and various other folk songs. We are the leading organization actively involved in providing a wide series of Nut Bolt Dholak. Our customers can purchase this product from us at affordable rates. Owing to our in-depth knowledge in this domain, we are specialized in providing Special Dholak. - A Beautiful Item For Gift. Best quality wooden dholaks available in different colour polish and designs available. We take pleasure in introducing ourselves as leading firm by offering Musical Dholki. Buy Dholak for Sale, sale of Dholki. Dholak is a Hand drum. It is a North Indian musical instrument which produces sound when it is struck by hand. We are counted among the well-reputed entity for providing Professional Dholak to our esteemed patrons. This product is stringently inspected on numerous measures of quality by quality experts before delivering.